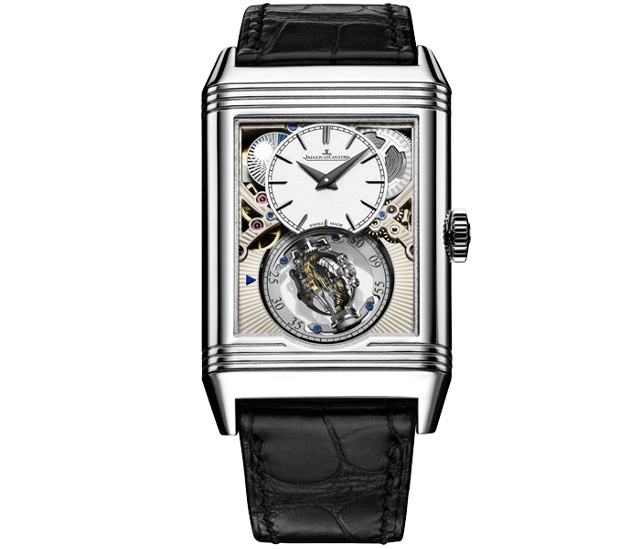 Jaeger-LeCoultre’s Reverso, this year celebrating its 85th anniversary, is one of the few truly iconic designs in twentieth century watchmaking, and as Jaeger-LeCoultre Marketing & Creation Executive Director Stéphane Belmont tells us in the accompanying exclusive video, the Le Sentier-based watchmaking giant continues to corral all its resources to ensure its success. 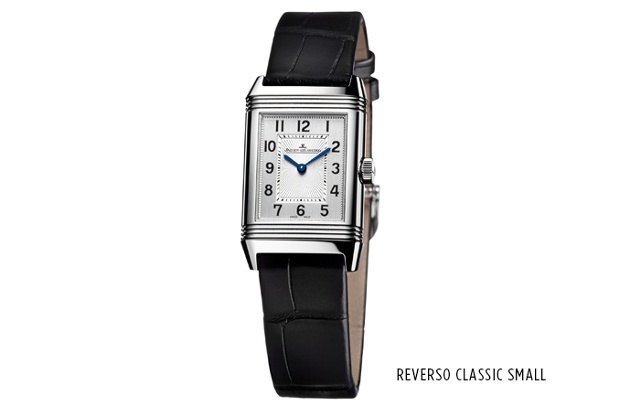 More than strictly an identifiable design, he notes, the Reverso’s impact might have been less profound had it not been for the very deep manufacturing abilities developed at the Le Sentier-based company in the decades leading up to the Reverso’s 1931 debut. Our movements, made to display functions on the front and the back of a (rectangular-cased) watch, created a real universe around the swivel case of the Reverso, he says. So many examples over the decades since the Reverso debuted have become collector favorites in both their original, now very collectible incarnations, and as newer re-issues. 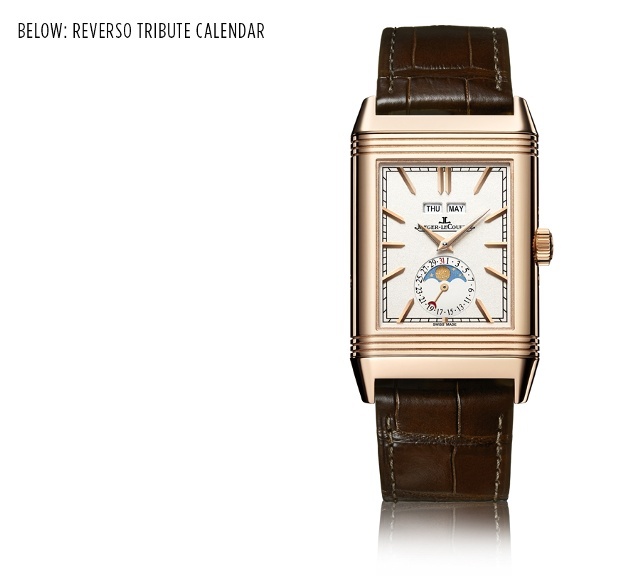 It remains important to connect Jaeger-LeCoultre’s history with any new Reversos, he explains. We take inspiration from the past and then adapt it to something of today, he adds. 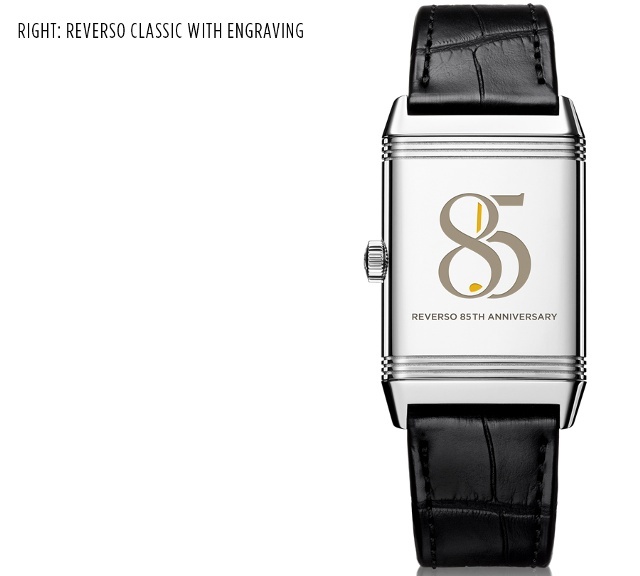 This year’s anniversary-year models continue a stricter vintage Reverso theme first seen in 2011 with the Grande Reverso 1931 Rouge, the Grande Reverso Ultra Thin Duoface Bleu, the Grande Reverso Ultra Thin 1948, and 2015’s Grande Reverso 1931 Seconde Central. This year Jaeger-LeCoultre added two newly defined Reverso collections, Reverso Classic and Reverso Tribute, as well as the new Reverso One, with its 1930s-style cases and three models: Reverso One Réédition, Cordonnet and Duetto Moon. 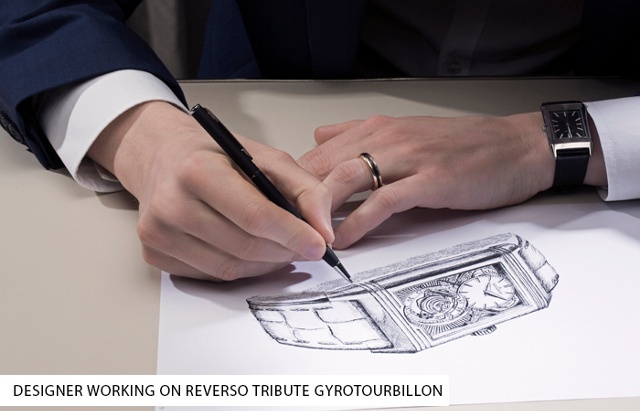 Within the newest Reverso offerings, the most complicated debut is the new Reverso Tribute Gyrotourbillon, the first Gyrotourbillon with two sides (and, of course, rotating in two axes). The watch is now about one-third trimmer in both width and thickness. The manually wound Caliber 179, with its hemispherical balance spring, now performs its rotation by means of an external driving mechanism –and it seems to float. Thus, the wearer can look into its three-dimensional case and open dial. Jaeger-LeCoultre has drastically thinned the two carriages of this bi-axial flying tourbillon so they can rotate externally in one minute and internally in only 12.6 seconds. On the caseback you’ll find more openworked architecture and lovely hand-decorated bridges. The dual-time display and the Gyrotourbillon stand out against the engraved openworked movement. This side features a day/night indicator in 24-hour mode at 2 o’clock as well as a small seconds hand driven by the tourbillon. 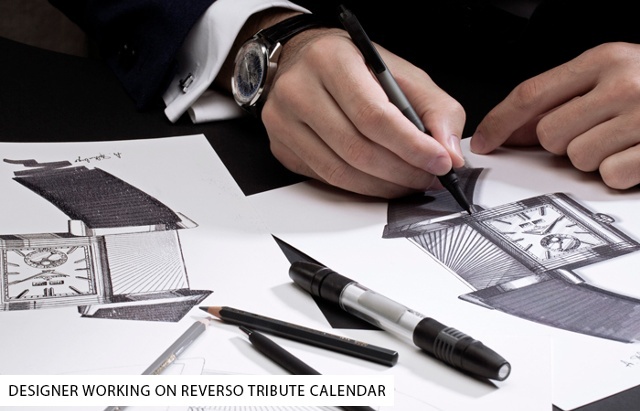 Jaeger LeCoultre will make seventy-five Reverso Tribute Gyrotourbillons, all in platinum.